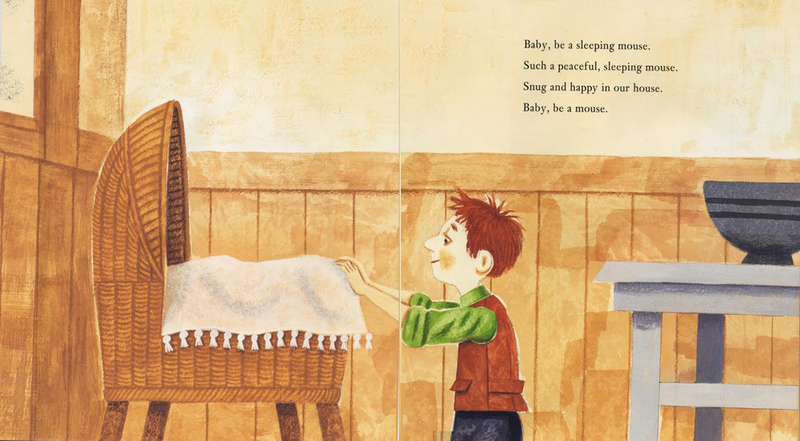 ...McElmurry's gouache paintings exude familial affection: the boy's mother and father sneak loving glances of each other in the midst of the preparations, and the boy takes a moment to peer at his baby sibling, sleeping "snug and happy in our house." This is a warm and wonderful holiday treasure. 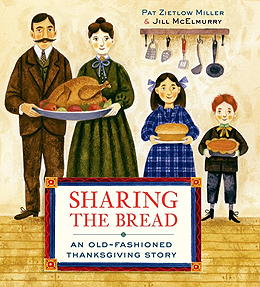 As Thanksgiving dinner approaches, everyone in this industrious nineteenth-century family—from Grandma and Grandpa down to Baby—takes part in preparing for the feast. "Mama, fetch the cooking pot… / Brother, baste the turkey well… / Uncle, swing the cider jug…" The little-boy narrator, meanwhile, checks in on all the preparations until the family is finally seated around the table to say grace and enjoy the fruits of their labor. McElmurry's gouache illustrations, in a textured palette of browns, oranges, and dark blues, are imbued with quiet energy. Miller's patterned rhyming text has the cadence of a folk song and captures just how joyful (and exhausting) Thanksgiving feasts can be.